Now I know my childhood was fairly privileged in that I had lots of toys, watched all the important shows (e.g. Muppets, Electric Company and He-Man) and got to eat flavoured ice in tubes. However, I did NOT have one of these books, which I am now convinced would have immured me from all my teenage angst. This and lots of chocolate. 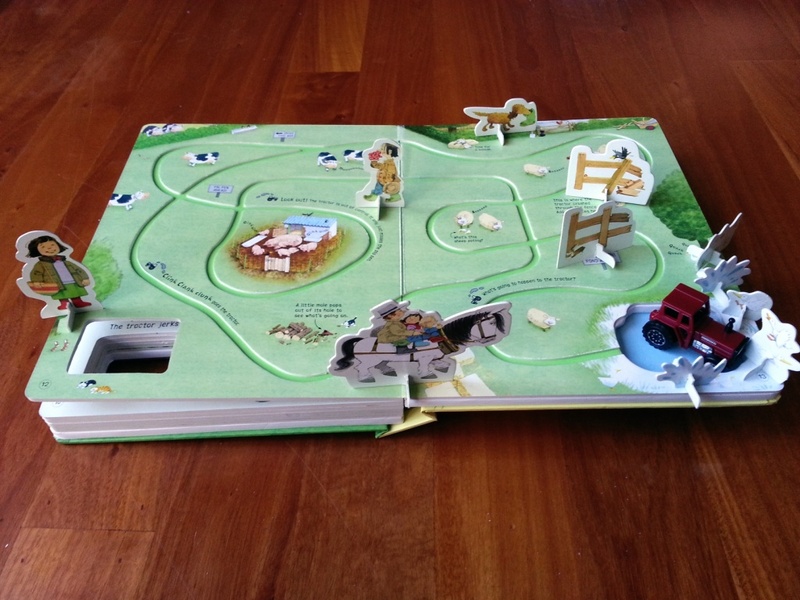 Usborne’s Wind-Up Tractor Book was part of Iris’s Christmas bounty and probably the best buy from my first BookDepository.com 25-hour sale. I’m going to need the pictures to tell you just how brilliant this “book” is. You definitely can’t do this with an e-book! 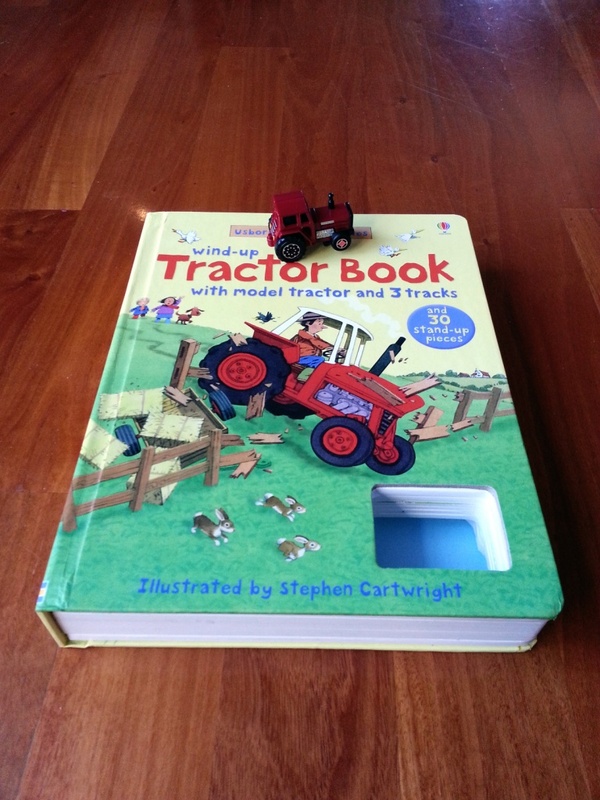 Seriously, any book that comes with its own wind-up tractor cannot be anything other than totally awesome, am I right? There are three mini-stories and the standees to go with them. 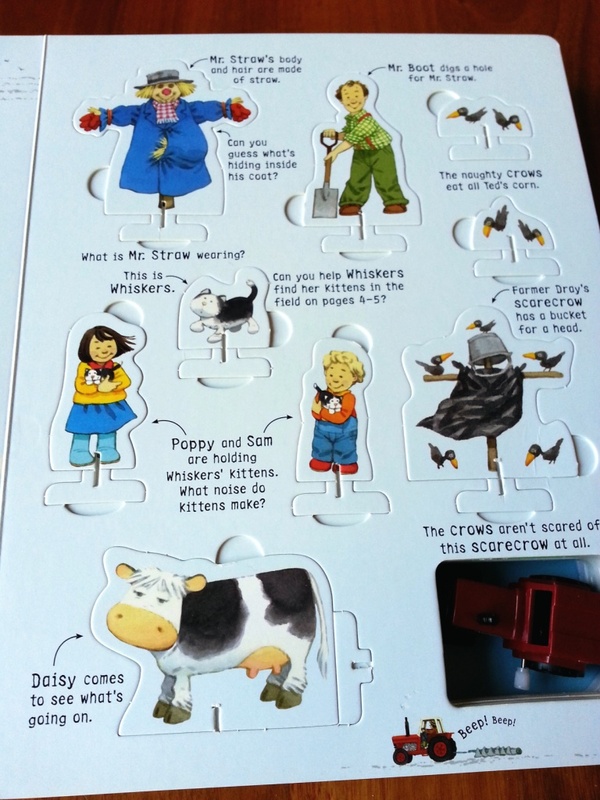 There’s even instructions for each standee, which are made of thick cardboard (but I wouldn’t leave a toddler alone with them). 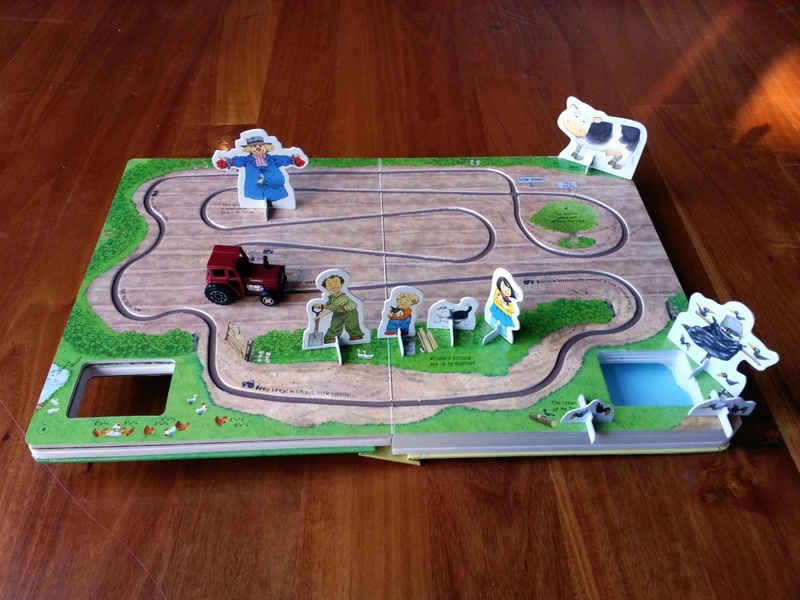 There are tracks on the book itself for the tractor to run in! Oh-my-good-books! How undeniably amazing is that? 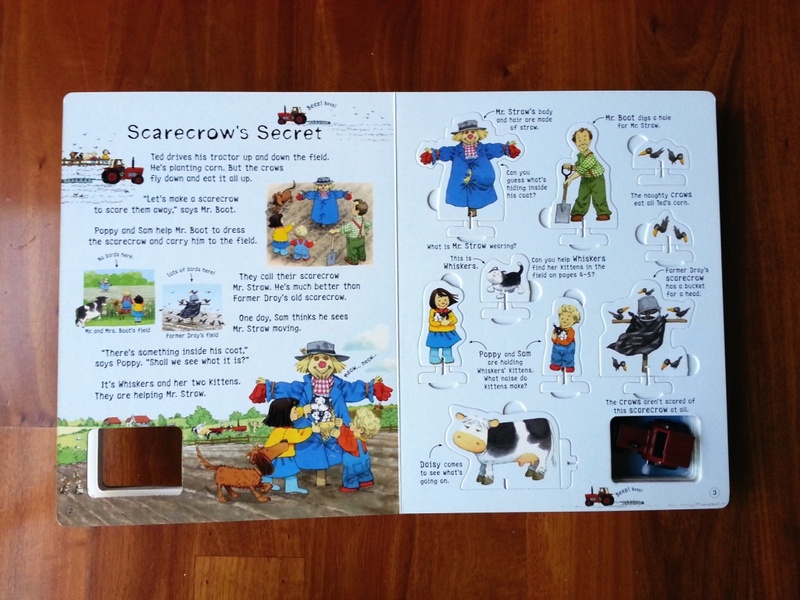 After several readings of the simple stories, kids can act it out all by themselves. Or they could make up their own stories. Check out the video of it in action: Tractor in Trouble. We had tons of Usborne books. They are awesome!